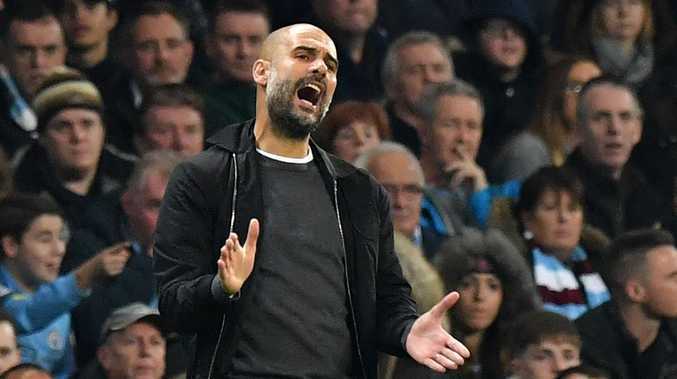 MANCHESTER City manager Pep Guardiola has been given a two-match ban, one of which is suspended for one season, for improper conduct following his dismissal in the second leg of their Champions League quarter-final against Liverpool in April. UEFA has also fined Liverpool $30,500 following incidents in the first leg of their Champions League quarter-final in April, including an attack on the Manchester City team bus as it arrived at Anfield. Liverpool were fined a total of $13,800 for setting off fireworks in the second leg with City and the second leg of the semi-final at Roma. Bottles and cans are thrown at the bus as Manchester City players arrive at Anfield before their UEFA Champions League first leg quarter-final. Their main punishment was for the setting off of fireworks, throwing of objects, acts of damage and crowd disturbances, UEFA said. 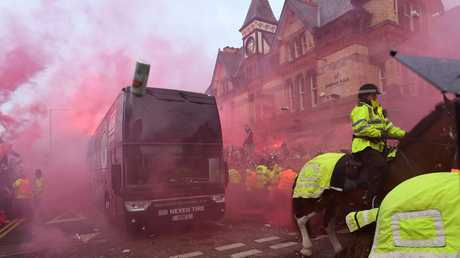 The Reds, runners-up in the tournament as Real Madrid won a 13th title in Kiev last month, condemned the "completely unacceptable" behaviour of supporters who damaged the City bus prior to the tie at Anfield.